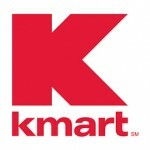 Check out Just Trying to Save Money for this weeks Kmart sales and coupon match up. Brianne does an excellent job of matching coupons with the sales. Previous post: Two free cans of Halo Spot’s Stew Pet Food!